Another Legend is in the making! 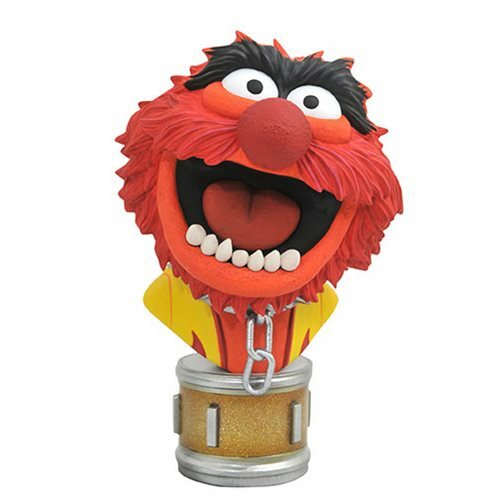 One of the Muppet Show's most iconic Muppets, Electric Mayhem drummer Animal, is the first felt fellow to be made into a half-scale bust in the Legends in 3D line! Standing approximately 10-inches tall, this resin bust of Animal was sculpted by Rocco Tartamella from a design by Joe Allard. The Muppets Legends In 3D Animal 1:2 Scale Resin Bust is a limited edition of 1,000 pieces, and comes packaged with a numbered certificate of authenticity in a full-color, hand-numbered box.